His childhood love for manga and passion for music inspires much of his cinemagraph work. 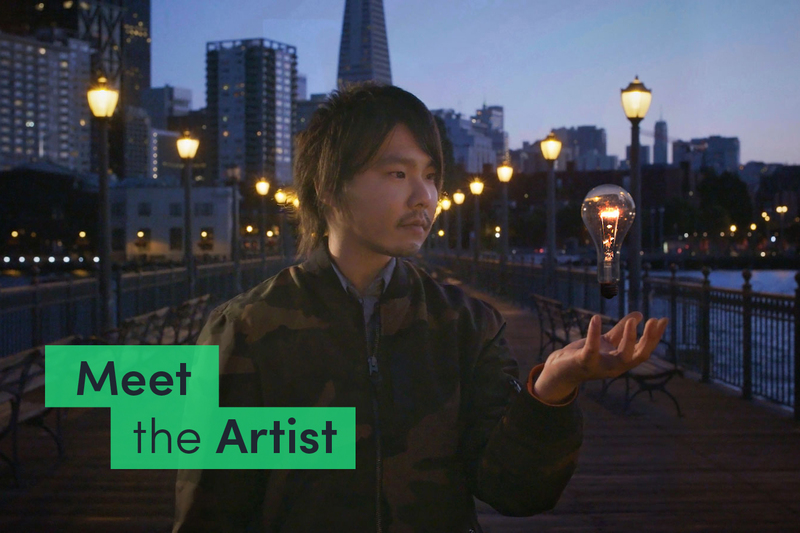 Meet Japanese gallereplay artist and filmmaker Yuito Kimura – a pioneer of the cinemagraph music video. gallereplay: Yuito, you were born and raised in Japan. Tell us a little bit about why you moved to the US. Yuito Kimura: When I was in high school, I had a dream to become a teacher. One day I asked myself, “Are you really sure that you want to work as a teacher for the rest of your life?” And my answer came out pretty quickly: “Absolutely not!” I want to explore places I’ve never been to. I decided to come to the U.S. and ended up discovering filmmaking. gallereplay: Recently you told us about a cinemagraph music video project that you are involved in. Could you give our artists and readers a little insight into that? Yuito Kimura: The music video is called “Syrup” by the artist Jaklyn. 80-90% of shots are cinemagraphs, which play with shadows, mirror reflections, and even dancing shots. gallereplay: It must have been challenging to shoot cinemagraphs for an entire short film/video? How many did you shoot in total? Yuito Kimura: We shot around 23 cinemagraphs for the Syrup music video, and we used 19 shots for one of my college projects called “We Are Stars”. gallereplay: So this is your second cinemagraph music video! Why do you think cinemagraphs are a particularly powerful storytelling medium? Yuito Kimura: I treat cinemagraph music videos like Manga storytelling. Every shot needs to show emotion, the environment, and convey a message. In videography it’s easier, but with cinemagraphs you’re more limited, because of the static shots. This makes the outcome of cinemagraphs even more powerful, just like Manga! Each picture of Manga portrays a lot of meaning. Cinemagraphs in conjunction with videography and photography catches the audience’s eye and creates an unforgettable experience. gallereplay: What advice do you have for artists interested in experimenting with cinemagraphs? Yuito Kimura: Sometimes creative ideas just pop up! When I first experienced cinemagraphs, I wanted to get my hands on them and just started experimenting! Other artists should do the same, and try to visualize their ideas by diving into the cinemagraph medium. It might be a relatively new medium, but it offers the perfect opportunity to tell a story. gallereplay: Finally, one of your cinemagraphs on gallereplay shows two masked women. What is the story behind this mysterious cinemagraph? Yuito Kimura: Those are shots from the “We Are Stars” cinemagraph music video project that I worked on in college. We wanted to characterise the two women as “mysterious”. In the cinemagraph music video you see how the two rob a market and then steal money in order to see Snow Angel perform live. They don’t care about hurting people if it means they can see Snow Angel play. The message we wanted to deliver was that money basically means nothing. That’s why they end up burning their masks and money. For more of Yuito’s cinemagraphs, check out his gallereplay profile page!